Recommendations: Adults take two tablets daily on an empty stomach at least one half hour before meals, or as directed by a health care professional. 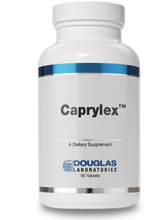 Caprylex™ is a dietary supplement of well-tolerated, non-phenolic complex of pure caprylic acid (octanoic acid). 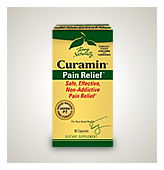 Each tablet provides 400 mg of a buffered calcium-magnesium caprylate complex, equivalent to 300 mg of caprylic acid. Caprylex is specially formulated to provide timed, controlled release of caprylic acid throughout the small and large intestine. In healthy people, the intestinal microflora consists of balanced amounts of symbiotic microorganisms, providing nutritional benefits to the host. This balance depends on our dietary habits and can easily be disturbed by unhealthy diets or drugs, such as antibiotics and oral contraceptives. Under these conditions, opportunistic pathogenic microorganisms, such as the fungus Candida albicans, can colonize the small and large intestine. Caprylic acid, commonly found in foods (coconut oil, milk fat, etc. 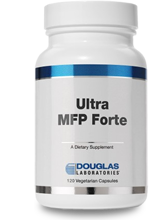 ), is a natural dietary fatty acid which helps maintain a normal intestinal microflora. Studies have shown that dietary caprylic acid helps inhibit the growth of Candida albicans and other opportunistic fungi in both the small and large intestine. At the same time, caprylic acid does not adversely affect the growth of beneficial intestinal bacteria. Side Effects: Gastrointestinal side effects may occur.